a doll for an upcoming baby. 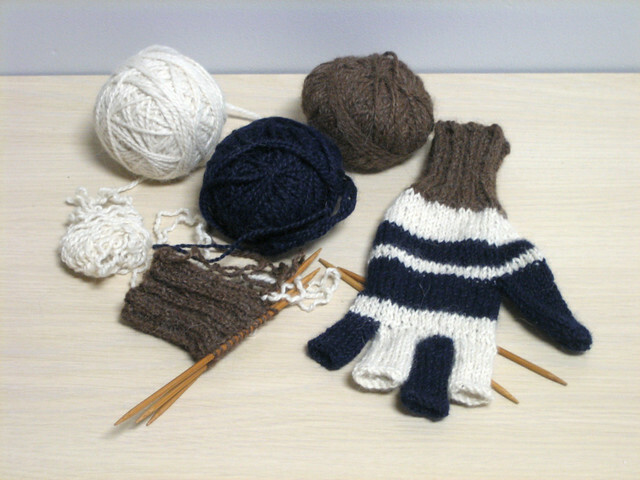 mitten gloves for an upcoming winter. Cute gloves! I love those colors. I always mix and match my finger colors! Love it. i'm so excited for those gloves, especially since i found my fav. handknit mittens with MOTH DAMAGE!! omg omg omg.